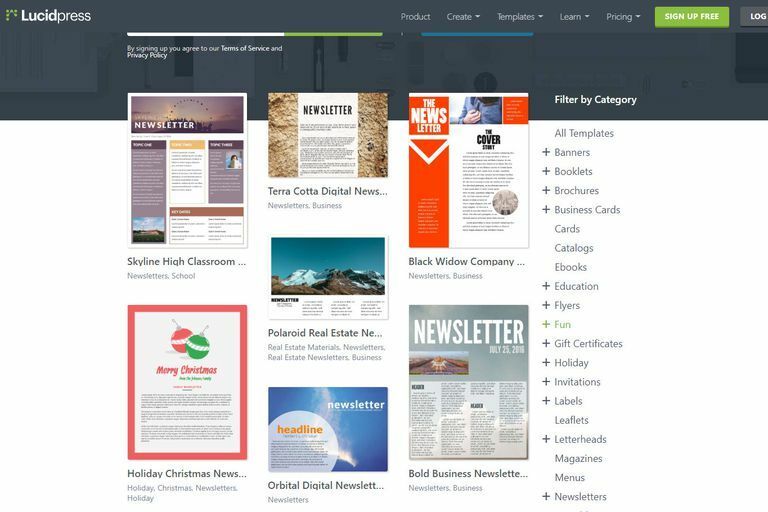 Free newsletter templates from Lucidpress. Mix and match elements — using a Wizard or by choosing items from a list that the software assembles into our final product. Pre-designed formats for documents where all we add are our own words in place of dummy or placeholder text. Graphics and typestyles are part of the template. Pre-designed formats for documents that have placeholders (grid lines, boxes, dummy text) for key elements — text and graphics. We add our own text and graphics and choose the appropriate typefaces. Many programs include their own set of designer templates for a variety of documents. You can also design and save your own templates. A quick search will yield links to hundreds of free templates. Let's look at some of the ways that templates can work for you. Offer your client a less expensive alternative to your original, made completely from scratch designs. Use templates for routine forms for your own use (invoices, etc.) so you can spend more time on client work. Maintain consistency with newsletters or between related marketing pieces. If you're a non-designer, use templates to give a more professional edge to your own marketing materials. Build your first Web page with templates until you become more comfortable with Web publishing. 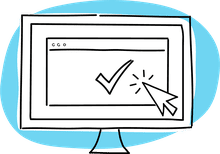 Maintain page-to-page consistency in a large Web site and simplify updates. Remember, in many cases templates are designed by well-known designers. We often look at the work of others for inspiration, using templates is simply another way of borrowing from the talents of those around us. Starting with a template is a smart idea. However, there are still many ways to personalize them without sacrificing the benefits of speed, variety, and consistency. Choose an Appropriate Template. Pick a template layout that is appropriate to the job. Selecting a design that is inappropriate or that requires too many alterations defeats the purpose of using a template in the first place. Change the Template Graphics. Add your own clip art and graphics in place of any pre-selected graphics used in the template. Graphics also include rules (lines). Change the size or placement to better fit your own text. Change the Template Fonts. Some templates come with font specifications. They are just suggestions. Be sure to choose a typeface that is appropriate to the design of the template. Some layouts and some typefaces have their own casual or formal tone. It's usually best to stay close to the type choices (if any) used in the original template if you're unsure. Change the Text Formatting. Change the leading or alignment of the text. Add text embellishments such as initial caps or bullet lists. Change the Template Color Scheme & Paper. The layout is only one part of the overall design. Simply changing the paper or changing the colors used in your document can cause dramatic changes — even when the layout stays the same. Change the Template Layout. While one of the main reasons to use a template is to have an instant layout, a few simple changes can make that layout perfect. Flip the template or just move an element or two around. Save Your Modified or New Template. Whether it's a modified template design or one you've created from scratch — save it as a template. If it's right for one job, it may be right for another. If it is a newsletter or one of many pieces in a coordinated marketing package, you save yourself time down the line. Use Templates for Inspiration. Ever found yourself staring at a blank piece of paper or a blank screen, unsure of where to begin? Use templates as a starting point. Just browsing through the various templates — even ones unrelated to your current design project — can give you ideas and start you on the road to lay out your own original masterpiece.